Tara Will graduated from Mount Saint Mary’s University with a BA in Art and Philosophy. 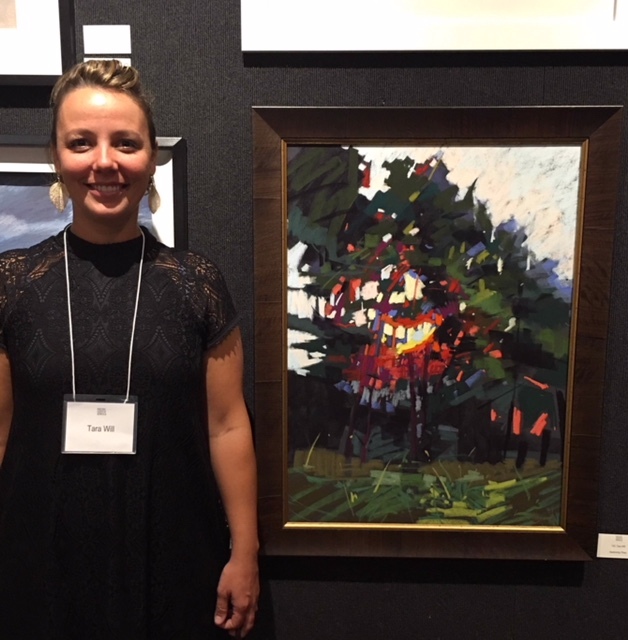 Tara specializes in working with pastels but she also enjoys painting with oil, watercolor, and mixed media. Tara predominantly works "En Plein Air" meaning out in the open. This style of work is started on site and completed at the location. Tara always uses her own photography as reference in her paintings to infuse a sense of self and experience to share. Tara's work is currently represented by Gallery 99 located in Westminster, MD. For more information please use the contact form here. Ain't That A Frame Westminster, MD.